Even the best work boots can wear out over time. Normal foot strike and regular activity can cause compression, reducing the comfort you once felt from that expensive work footwear. 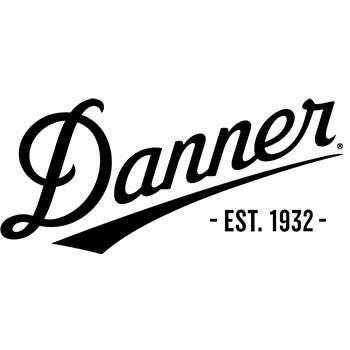 Should you run right out and buy a new pair...or should you just get some Danner 95 ... (see full details) (see specifications) #DNN95914. Even the best work boots can wear out over time. Normal foot strike and regular activity can cause compression, reducing the comfort you once felt from that expensive work footwear. Should you run right out and buy a new pair...or should you just get some Danner 95914 DXT Memory Foam Comfort Footbeds instead? You'll be amazed at how far you can extend the life of your favorite pair of boots when you use these cushioning insoles. Constructed with two layers to create tough, dual-density comfort, these replaceable insoles are manufactured to slip right into any pair of work shoes. Two layers of shock-absorption help cushion and comfort every part of your feet, placing secure support between your steps and the harsh ground. This system gives your feet the extra cushioning they need. Thermoplastic polyurethane (TPU) cups create arch support to reduce strained muscles and foot pain. This TPU X system has stabilizer heel cups and extra heel shock-absorption. This also protects your feet from any slippage and jarring that might occur. The tri-density heels in the insoles places extra cushioning under this hard-striking foot area. In addition this heel system was generated to help reduce stress on your knees. These Danner footbeds each have a layer of slow-rebound memory foam that conforms to the shape of your feet. An X-Static lining keeps your feet fungus-free and cool, as it's both soft and breathable. This top cloth of the DXT insoles is antimicrobial, which kills odors and bacteria. Last, but not least, quick-dry fibers help reduce sweat and moisture to create even more comfort for you. Danner 95914 DXT Comfort Memory Foam Footbeds...isn't it time your feet got a little more comfortable? We think so, order your very own pair online today from the Working Person's Store. Your feet will thank you! If you have a pair of Danner boots and are looking for a great insole then check these out. I put these in a pair of Ft. Lewis boots and have fell in love. These insoles fit like a glove with no trimming required. I feel greater arch support, warmer feet, and a little more stability. I'd say give them a try..Obviously built by Danner for Danner boots..
Danner Footbeds: 95914 DXT Comfort Memory Foam Insoles is being added to your cart.